You are here: Home » Blog » News » Happy 2017! New Year, New Products! 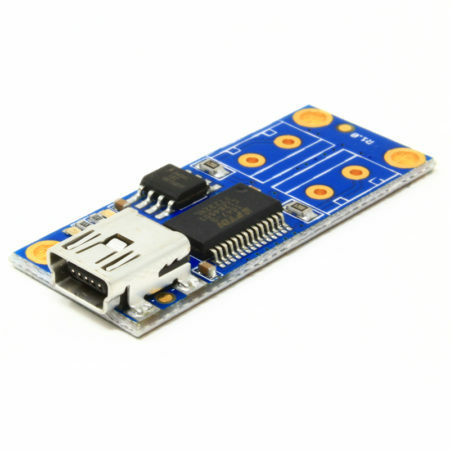 New products first: let’s begin with the AK-LED-DRIVER board. 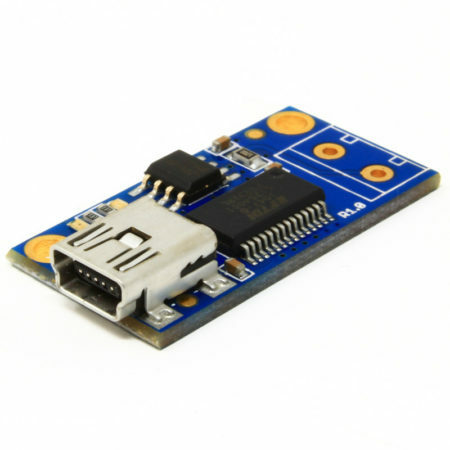 The AK-LED-DRIVER board is a LED driver with selectable maximum output current. 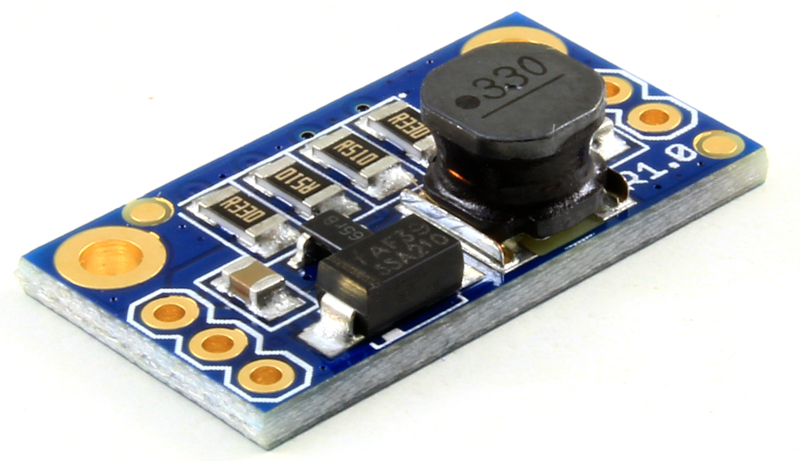 It can deliver 300mA, 500mA, 700mA or 1A to your LEDs, with a dedicated pin for dimming with PWM or analog voltage. Great for driving LED strings, High Power/High Brightness LEDs, and also LASER diodes! 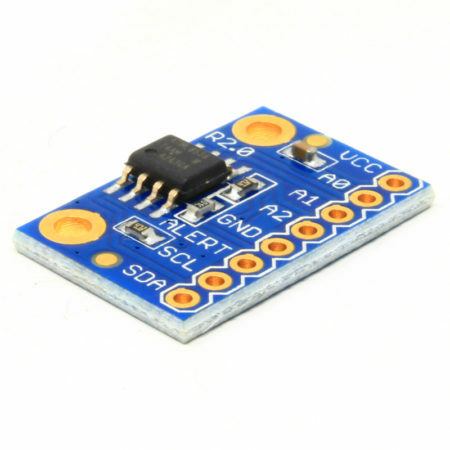 The board is based on the Diodes Inc. AL8807 IC, small and very easy to use. Next we have the AK-DS2482S-100 board. 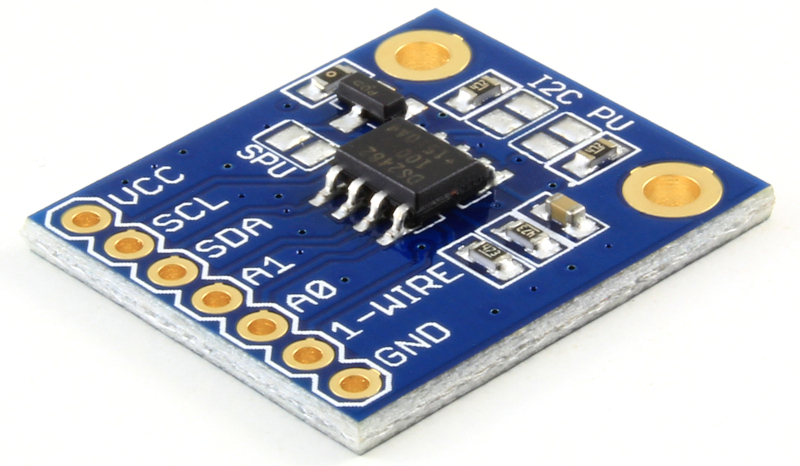 The AK-DS2482S-100 board is an I2C to 1-Wire protocol bridge. 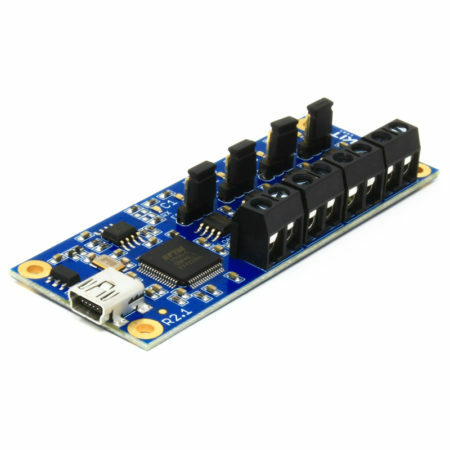 The board is based on the Maxim DS2482S-100+ IC and enables you to manage 1-Wire slave devices through I2C, without worrying about generating the strict time-critical signaling required by the 1-Wire protocol. The following product is a 400-Point Solderable Breadboard. 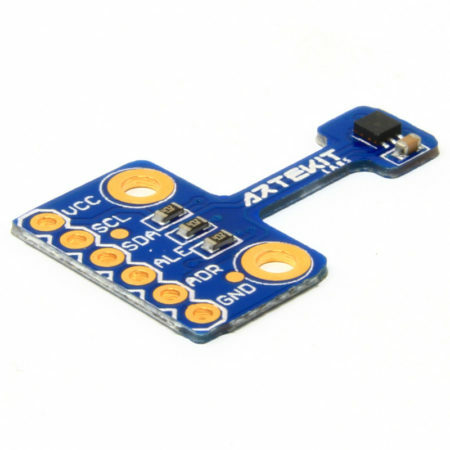 Ready to move your projects from the breadboard to the real world? 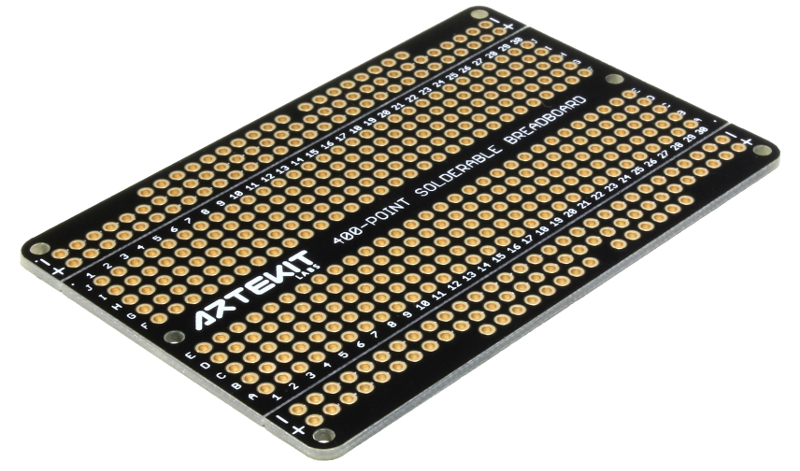 With the Artekit 400-Point Solderable Breadboard you can reconstruct your working projects from a solderless breadboard to a fixed, soldered and permanent installation. The board has mounting holes, can be spliced to separate the power rails from the main prototyping area through superficial V-Scoring, and it has Arduino-compatible headers, so you can use it as an Arduino shield too! Our last product for today is the AK-COINCELL-HOLDER. 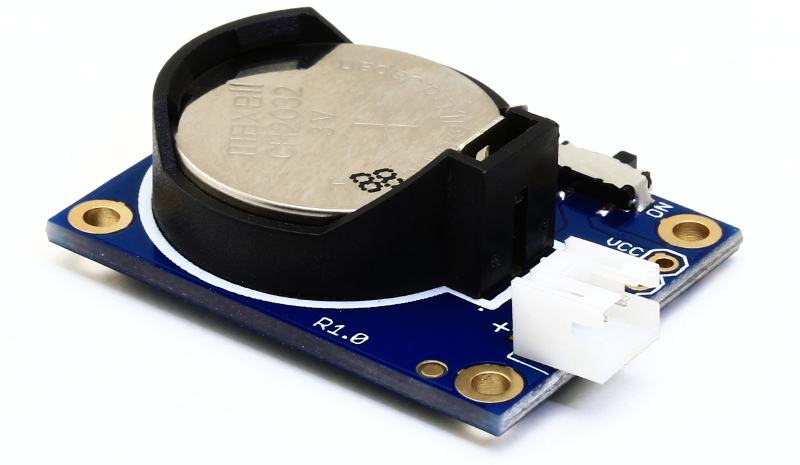 Use AK-COINCELL-HOLDER board to supply power to your projects with a standard coincell type battery (like 2016, 2020, 2025 or 2032). The board comes with a practical switch that cuts the power from the battery. It also has a dedicated pin always connected to the battery to charge it up externally. The board comes with a soldered male JST connector and the cable with the matching female connector. And that’s all about new products. Now for the news, we are now accepting payments with Wire Transfer right from the Checkout page! Many customers (mostly private companies) wanting to pay through Wire Transfer needed to contact us to arrange the payment. It’s never been a problem for us, but now it’s easier and automatic. From now on, there is see an extra option on the Checkout page, where you can choose between PayPal and Direct Bank Wire Transfer. Clicking on the “Place Order” button will lead you to a page detailing your order information followed by our bank account numbers. That’s all for today. Stay tuned for more news.